Materials: oil on canvas. Dimensions: 81.1 x 159.4 cm. Acquisition date: 1954. Nr. : 1954.71. 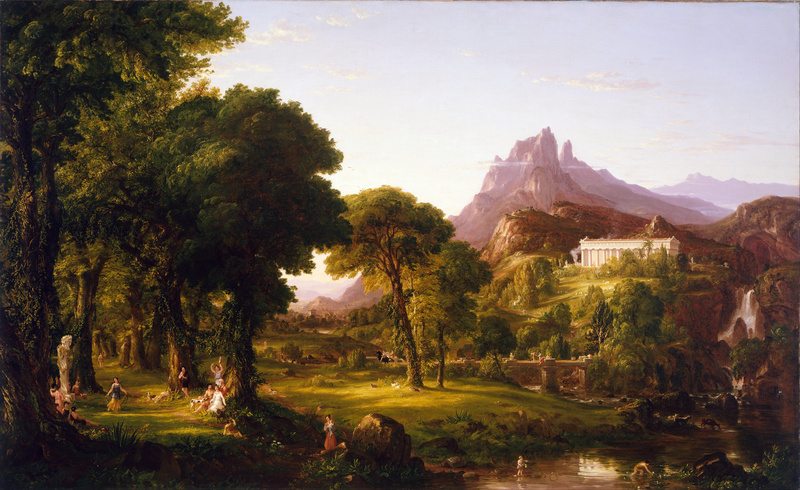 Source: http://commons.wikimedia.org/wiki/File:Thomas_Cole_-_Dream_of_Arcadia_-_Google_Art_Project.jpg. I have changed the light, contrast and colors of the original photo.